When I work with my clients here at FamilyVest, I want them to be as informed as possible so that we can achieve the best results for their specific needs. We are problem solvers. Together we take all know variables and provide the range of outcome probabilities and work with the client to create solutions specific to their situation and preferences. Multiple thoughtful conversations are needed for us to fully understand your situation and for you to understand the important variables and how your choices effect outcomes. These are some of the questions I like my clients to think over before we meet so we can talk about them together and get right to the root of a customized investment plan. Do you have plans for the future? Looking to grow a college fund, take an amazing trip, or build a nest egg? Every family is different, so your goals and ambitions are too. Consider your plans for the near and far future, so we can build a bespoke strategy to achieve what you want in an appropriate time frame. We see two strands to risk, both important in determining your investment approach. The first is purely financial: how much risk can and should you bear given your particular financial situation? The second is emotional: also particular to every person (perhaps more so! ), your personal tolerance for risk will be heavily tied to your money history and personality.This is especially important when managing finances for loved ones, which may require a different approach to other investment aims. The best way to determine both strands of your tolerance is to talk it over with your advisor who is ready to listen to your situation and offer their professional expertise. As well as a primary household income, you’ll need to consider returns on other investments and the management of your taxes. It’s important to look at the best strategy for your arrangements, especially with regards to tax rates and taxable investments. Your income can play a big part in your risk level too – your family’s standard of living is a central consideration in these strategies. What’s the Deal with Your Taxes? Speaking of taxes, you’ll also need to look at your tax situation and any special circumstances. As an advisor, I want to help you utilize your investment portfolio and seek best outcomes, so I consider how to manage your assets with tax advantages in mind. This might require a conversation with your accountant or attorney, but once you have this information, it will be of great benefit when creating your financial plan. Think about your pension value, your businesses, employee stock or compensation, potential inheritance – anything liquid or illiquid plays a part in designing an investment portfolio right for your family. Think through your entire financial profile to put appropriate figures to your total wealth. As there are often many layers to someone’s financial life, it is beneficial to have your planner help you analyze this to ensure nothing is missed. Only after having everything organized like this are we able to understand your true economic risk and possible ways to minimize this risk. We know that investing wisely is never an overnight process, but planning a timeline is an important part of your strategy and possible returns. Think about your expectations: do your goals need to be met in five, ten, or thirty years’ time? Do you need to generate income at a given time? Can you handle loss and fluctuations, or is steadiness a key consideration? As always, think about what you want to get out of your investment experience and discuss those expectations with your financial advisor. How Accessible Should Your Assets Be? Better known as liquidity, we’ll need to figure out the speed at which you might need access to your assets. If you’re focusing on building an inheritance or long-term fund, liquidity might be less important, and we could look at real estate, antiques, other property, private equity, or further examples of illiquid investments. Liquid assets can be converted into accessible funds much faster and at fair market value. For active access to your investments, we can choose a profile featuring assets with many buyers and sellers (think mutual funds or bonds). If this sounds like a lot to remember, don’t panic! The main takeaway is that you and your financial advisor need to know everything – all income, assets, other investments, employee benefits and perks, all the ins-and-outs of your personal profile. While this sounds like a lot to gather and quantify, it doesn’t have to be intimidating. Set aside a day or a weekend to get started. 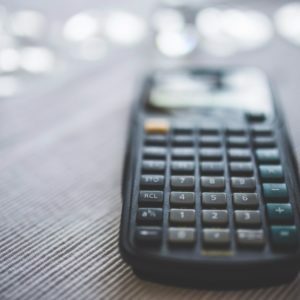 Ask your spouse or a trusted friend to help you break down some of these numbers and facts, so you will have a good idea where you are at and what you and your advisor need to formulate to get your financial house in order. For more information on creating a customized investment plan with FamilyVest, feel free to schedule a no-obligation consultation below.